KUNG FU PANDA WHAT A GREAT SURPRISE!!!!!!!!!!!! MR. PING IS MY FAVORITE CHARACTER IN KUNG FU PANDA 1 AND KUNG FU PANDA 2!!!!!!!!!!!! The surprise Mr. Hong has for the children in the video is a copy of Kung Fu Panda 2 on Blu-Ray! My favorite character is definitely Po! I just love Po! Po is a character for both kids and adults can relate to. Kung Fu PAnda 2 DVD. Kung Fu Panda 2 !!!!!! Kung Fu Panda 2 in Bluray! My favorite character is of course Mr. Ping. The funniest guy out there, plus the way he’s so passionate about his NOODLES is so neat! I like the dad in Kung FU in blue Ray and Dolby DVD The surprise is the new Kung Fu. A lot of people want noodles. It is great. Po is my favorite character because he is awesome and never gives up! HA that man was so cute!! He gives the kids Kung Fu Panda 2 DVD. The surprise is Kung Fu Panda 2 on blu-ray in TrueHD! My favorite character is Master Shifu! PO! How can he not be your favorite? It is hard to choose a favorite, they are all very good. Having to pick one, I guess it is the Dad. The Dad is favorite, although hard to choose. He has a Kung Fu Panda 2 blu-ray/dvd combo pack for them. My favorite character is Master Monkey, only because I’m a Jackie Chan fan. 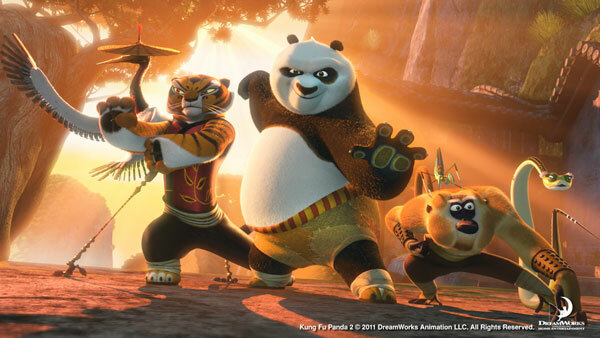 Thanks for the giveaway…he tells them Kung Fu Panda 2 is being released on Blu-ray featuring Dolby TrueHD 7.1.